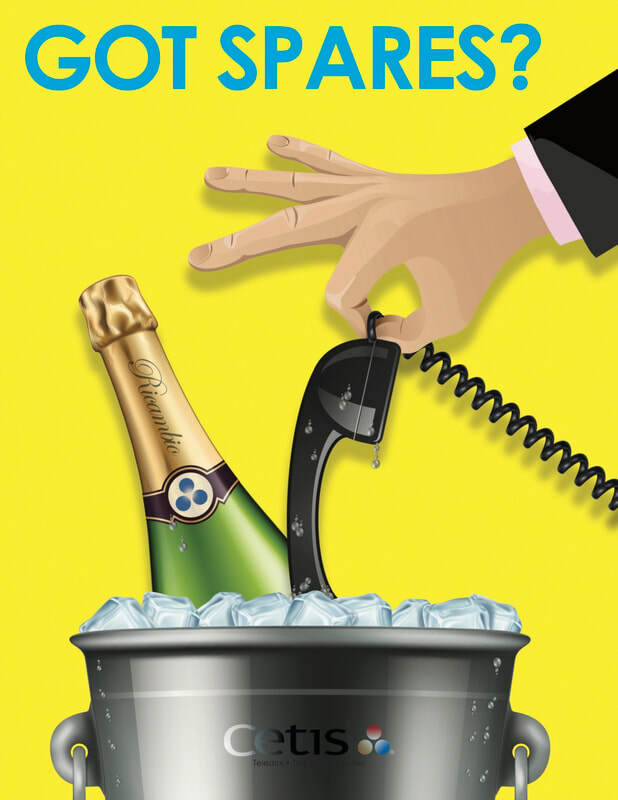 Four design families of feature-rich VoIP hotel phones from the Teledex and TeleMatrix brands offer certified compatibility, extreme reliability, and great value for any hospitality application. A full range of form factors are available from guest phones and trimlines to lobby phones and cordless models. 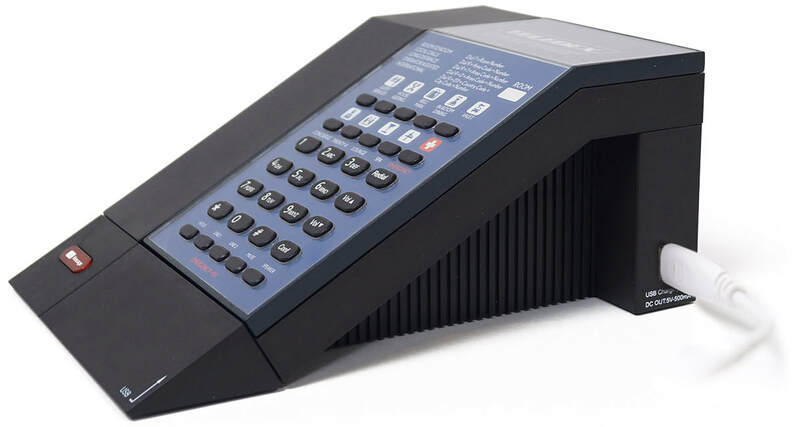 ​Choose Teledex M Series, E Series, and I Series, or TeleMatrix 9600|3300 Series models, available in 1 and 2- line, corded, and cordless desk configurations with matching VoIP trimline, and RediDock remote cordless handset stations. ​Click here to view Cetis VoIP telephone models, and to request a quotation for your next property renovation or new construction project. Even if it’s quiet at your properties right now, an upcoming convention, seasonal shift in occupancy, or just a busy weekend could leave you caught with vacant rooms due to a missing or malfunctioning room phone. Something as simple as a broken handset cord, or beverage spill could take a room out of service if you don’t have spare phones on hand. Plan ahead to avoid Out-Of-Order (OOO), or Out-Of-Service (OOS) rooms by ordering Cetis spare and replacement room phones. Choose from our leading brands. Click on the video for details. 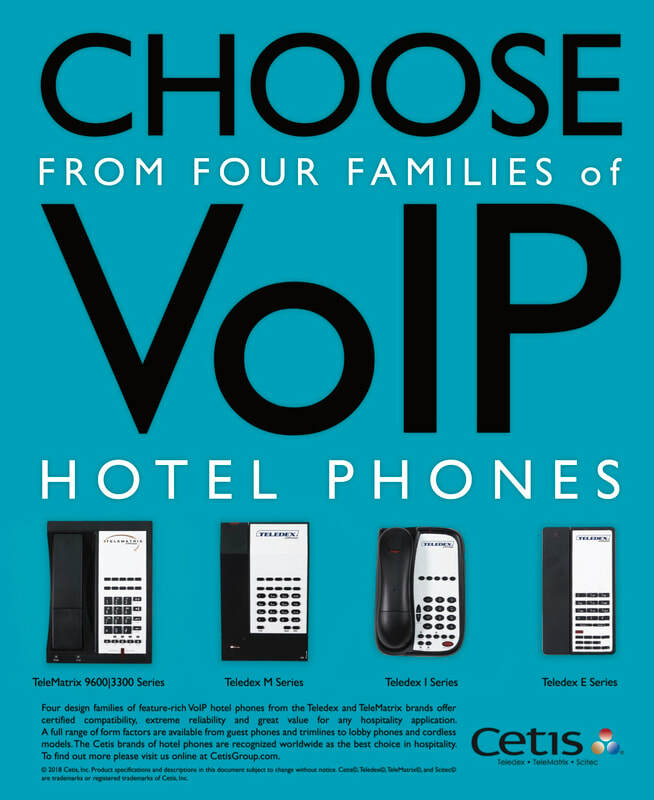 Choose from 4 distinct Cetis VoIP hotel phone design families. Cetis VoIP hotel phones complement your branding and decor. Choose Teledex M Series, E Series, and I Series, or TeleMatrix 9600|3300 Series models, available in 1 and 2- line, corded, and cordless desk configurations with matching VoIP trimline, and RediDock remote cordless handset stations. 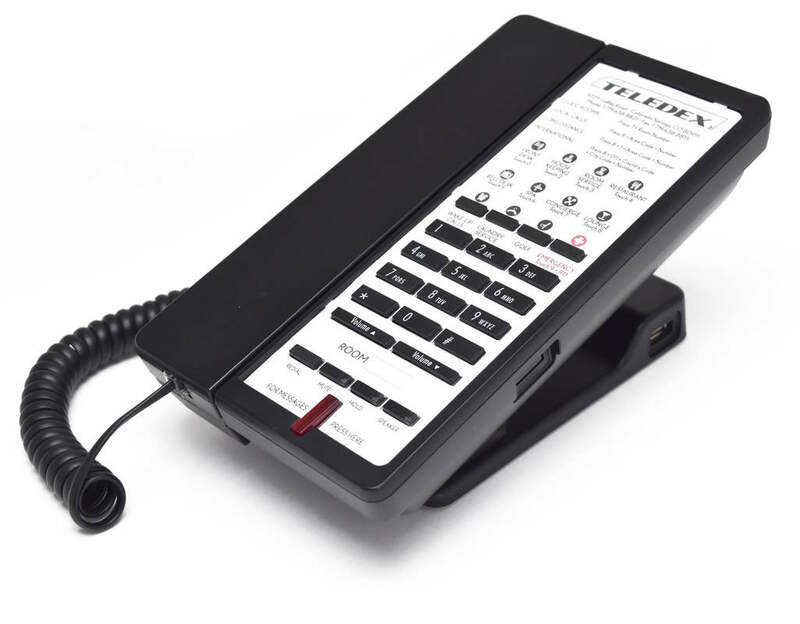 Hoteliers appreciate the sophisticated, angular look of Teledex M Series hotel phones. ​Designed and engineered specifically for hospitality applications, M Series phones are available in analog, VoIP, corded, and cordless configurations with optional Bluetooth pairing, and digital alarm clock, plus standard built-in USB guest smart device charging ports both on the phone, and on matching RediDock remote handset kits. Matching analog and VoIP lobby, and MTrim trimline sets are also available to complete the M Series family. Advance your guest room design footprint to the next level, and give your guests the design and telephony features that they deserve. 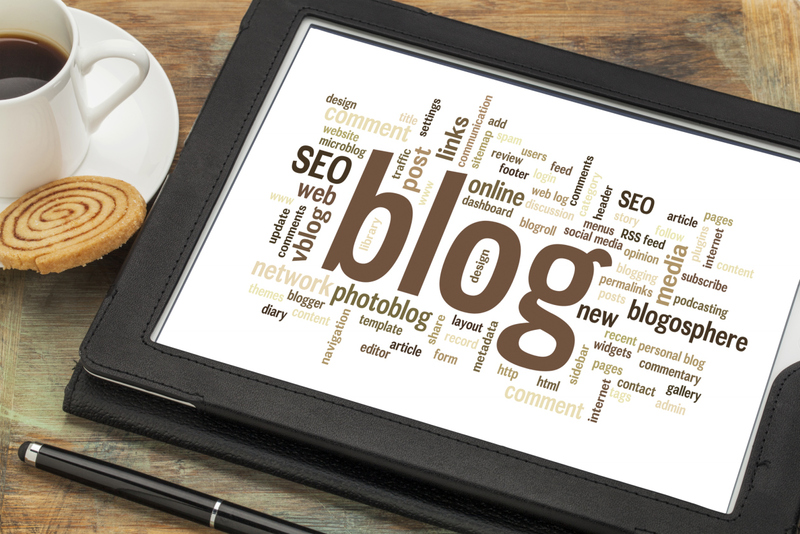 ​Click here to request a quotation, or here to arrange a consultation. 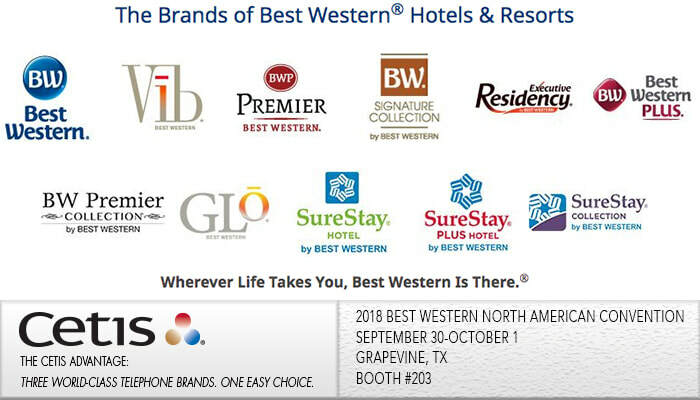 Stop by and visit with the Cetis team at Booth #203 and save during the 2018 Best Western North American Convention, September 30-October 1. Receive a Teledex M Series phone with free built-in digital alarm clock (Promo Code BWMC110218), or ask about our free speakerphone upgrade with your purchase of a non-speakerphone phone model (Promo Code BWSP110218). ​Click here to arrange an appointment with a Cetis sales representative during the show.